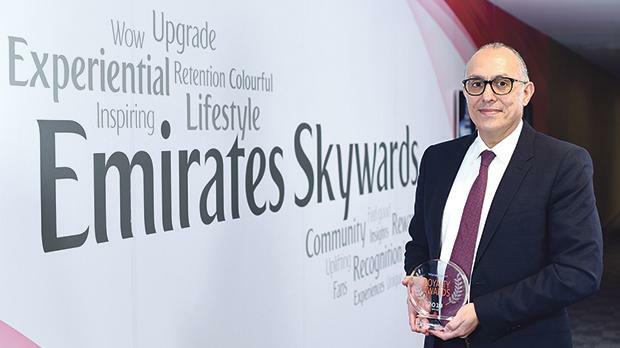 Nejib Ben Khedher, senior vice president Emirates Skywards with Loyalty Award 2019. For the second consecutive year, Emirates Skywards, the loyalty programme of Emirates and flydubai, was presented with the accolade for ‘Excellence in Management’ at the Loyalty Awards 2019 dinner held in Paris on February 19. The award was collected by Nejib Ben Khedher, senior vice president, Emirates Skywards. Emirates Skywards currently has a global base of over 23 million members. Over the last 12 months, the programme has significantly broadened its value proposition to members by offering more opportunities to earn miles and combining them with more avenues to utilise miles. Last month, Emirates Skywards inaugurated its new one-stop customer touchpoint in Terminal 3 at Dubai International Airport (DXB). The Emirates Skywards Centre is open to both new and existing members of the loyalty programme and will provide assistance across a wide range of services including programme enrolment, profile creation, partnership awareness and consultation on all Skywards Miles related enquiries.